ISLAMABAD: Muslim women are often looked upon as the veiled and the vulnerable. But some passionate women are now making their voices heard, challenging stereotypes and inspiring women from around the world. One such adventurous woman is Samar Khan from Pakistan. This 26-year-old on a mountain bike, in proper cycling gear — helmet, gloves and pads — is the image of a young, spirited and dynamic Pakistan. Paragliding, trekking and martial arts are a few of her passions, but biking beats them all. 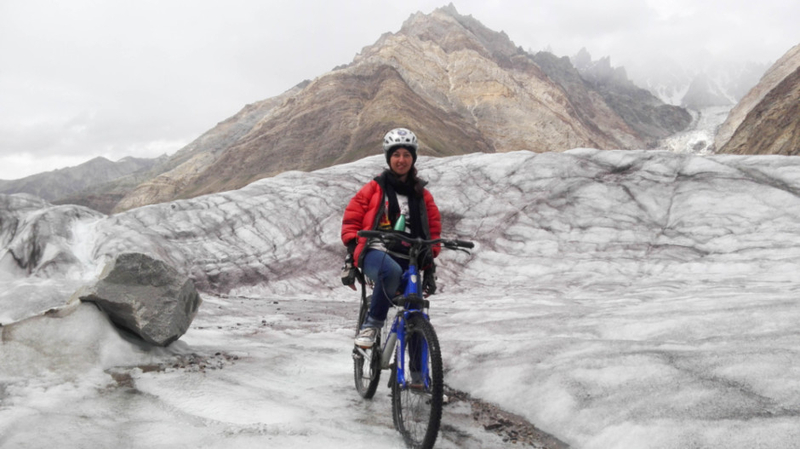 Khan’s dedication and love for cycling compelled her to bike all the way from the capital city of Islamabad to the great Karakoram Mountains in northern Pakistan. Khan is the first Pakistani to travel 800 kilometres on a bicycle, from Islamabad to 4,500-metre Biafo Glacier in Gilgit Baltistan. Biafo is the world’s third-longest glacier outside the polar regions. The most surprising part of her journey is that she did not do it for competition or glory but to encourage the spirit of tourism and exciting sports among youth. “The sole purpose of my thrilling journey is to promote tourism and sports in Pakistan. I want to break stereotypes and set the trend of adventure sports in Pakistan for youngsters, particularly women,” said Khan, adjusting her bike gears. “An athlete, cyclist and an explorer” is how Khan defines herself. “If I can achieve my goal of reaching, exploring and cycling on a glacier, then anything is possible. Just believe in your dreams and achieve it,” she said. Khan hails from Lower Dir, in the Khyber Pakhtunkhwa province of Pakistan, where women have few opportunities of education and employment. Unfortunately, the region is often referred to by Western media as the nursery of extremists. So how did she grow up so strong and confident? “My parents and siblings have always supported me and believed in my dream, which is the biggest reason for my success,” Khan said. After riding for about 15 days and covering 800km, Khan was closer to her desired destination but she had to trek and climb the icy, snowy glacier to realise her dream. Upon reaching Askole, Pakistan’s highest and most remote village, she found herself at the foot of the great Karakoram Range — home to the world’s highest peaks, over 8,000 metres high, including K2. Askole is the entrance point to the glaciers. This trip was quite daunting as Khan and the three mountain guides were each carrying about 20-25kg on their backs, which included food, basic necessity items and her disassembled bike. Finally, Khan reached the peak. “I assembled my bike again and rode on the Biafo Glacier,” she said in an excited tone and with a wide smile spread over her face. Her expression depicted the delightful feeling of summiting the gigantic glacier. 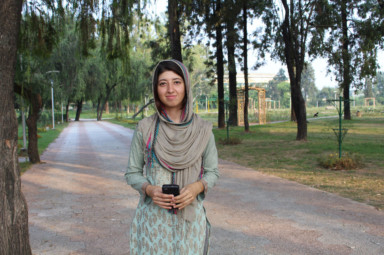 “It was quite a challenge for me, the hectic bike ride, harsh weather and landslides at times,” Khan confessed, but she brushed aside all fears and set her mind on the goal to achieve the impossible. However, this is not the first time that she has travelled for this length of time. 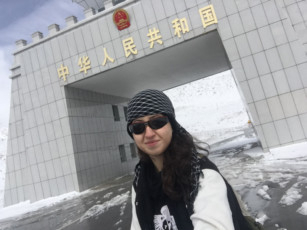 In 2015, she set a cycling record by covering 1,000 kilometres, from Islamabad to reach the 4,700-metre Khunjerab Pass (Pakistan-China border) on the Karakoram Highway. Khan is a fresh university graduate with a Master’s degree in Physics. Khan also aims to join the national cycling team of Pakistan to participate in the Olympics and win medals for her country.